A creative arrow diagram with an escalator background concept. 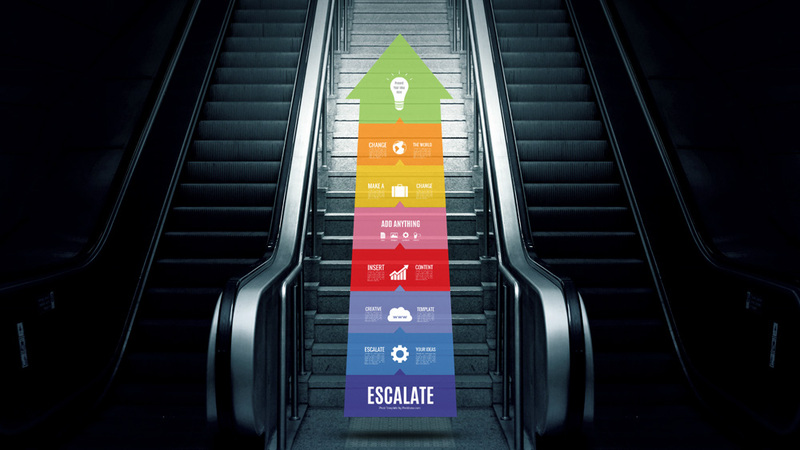 A steps diagram with a colorful arrow and a dark escalator background. Create an infographic diagram presentation with a growth and improvement concept. Zoom into the steps and insert your own content and ideas. This entry was posted in Best Prezi presentation templates and tagged amplify, an, arrow diagram, ascend, business growth, business rpesentation, climb, colorful, creative list template, creative stages diagram, creative steps diagram, diagram, enlarge, escalate, escalator, expand, extend a business, grow, growth, growth diagram creative, improve, improvement, intensify, prezi, prezi templates, scale, stages diagram, stairs, up, upstairs.